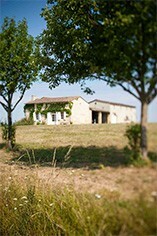 This excellent little property in the obscure Côtes de Francs is producing delicious wines. Owned by the president of Bordeaux negociant, Dourthe, Jean-Marie Chadronnier, Chateau Marsau has been heralded by Robert Parker as "The Petrus of the Côtes de Francs". Lying at the top of a hill, north-east of the village of Francs, the vineyards benefit from an excellent microclimate, with exceptional sunshine hours. The soils are predominantly clay which suits the Merlot grape variety, with which 85% of the vineyards are planted, very well. The character of the wines is classic right-bank with soft, round, elegant fruit and fabulous balance. 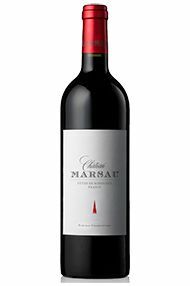 A lovely property in the tiny appellation of the Côtes de Francs, the 2017 Marsau is deep ruby in colour with attractive aromas of bright redcurrants and wild black cherries, courtesy of the juicy Merlot dominance in the blend. Medium bodied on the palate with crunchy red fruit and silky, integrated tannins. A touch of chalkiness to the acidity brings a freshness throughout, and a purity of red cherry and forest fruit sits at the heart of this crowd-pleasing style. Suave and finely textured, a very decent effort which will drink well from 2020 – 2026+.